UW microbiologist Peter Greenberg has long been fascinated with how bacteria in cells communicate for cooperative activities, including the spread of infection. He started exploring the subject in 1977, thinking the implications could be far-reaching. But he was taken by surprise June 1, when he and a researcher from Princeton University learned they had been awarded the prestigious 2015 Shaw Prize in life science and medicine. E. Peter Greenberg is a UW professor of microbiology. "I was shocked that we were even nominated,” he said. He will share the $1 million award with microbiologist Bonnie Bassler, chair of Princeton University’s Department of Molecular Biology. The award will be presented Sept. 24 in Hong Kong. 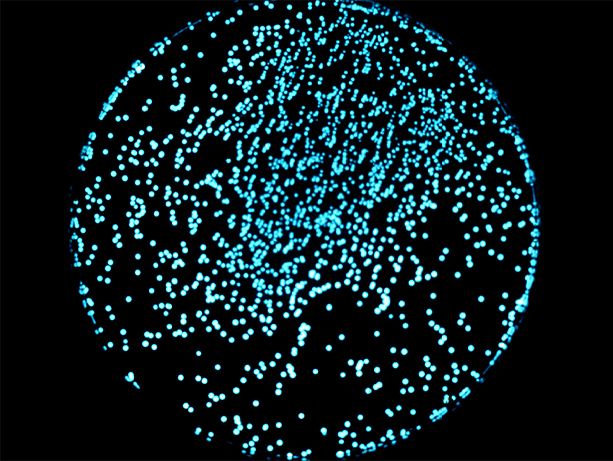 Their work centers on quorum sensing, a term coined by Greenberg to describe a process first shown in marine luminescent bacteria. The light of a single bacterium is invisible to the unaided eye, but when enough luminescent bacteria cooperatively secrete a chemical, they make a quorum and create a light that people can see, Greenberg said. “Hundreds of bacterial species use quorum sensing to control various things, and there’s a big push for drugs to target quorum sensing,” he said. Understanding how pathogens use quorum sensing to coordinate and cause disease should bring about novel medicines, Greenberg said. He said he and Bassler have been the two people who have really pushed the importance of quorum sensing in medicine and in general. Bassler came to his lab in the late 1990s to do some experiments after her postdoctoral work; she is working on a signaling system different from Greenberg’s. The study of luminescent bacteria in the 1970s and ’80s was mostly ignored by peers, he said, who doubted the relevance of “weird” marine life. In the 1990s, Greenberg and his team discovered that bacterial pathogens controlled infectivity by using the same mechanism that luminescent marine bacteria used to control light. “That changed the game,” he said. In the 1990s, he and his team began working on a bacterium that causes cystic fibrosis lung infections. The work had huge implications not only for science but Greenberg personally; his daughter has cystic fibrosis. Understanding quorum-sensing control in pathogens, particularly the cystic fibrosis pathogen, has become a busy research field with hundreds of investigators working towards therapeutics. Greenberg’s group now is working with a university in China on using quorum sensing to treat crop diseases. He hopes to push through practical applications in agriculture that will also illuminate the path for developing human disease therapeutics.